Here are plans for the Corrigan that I electronically scanned from page 30 of my purchased copy of the November 1968 American Aircraft Modeler magazine. You might be able to scale up the image below if you cannot find a source for ordering plans. 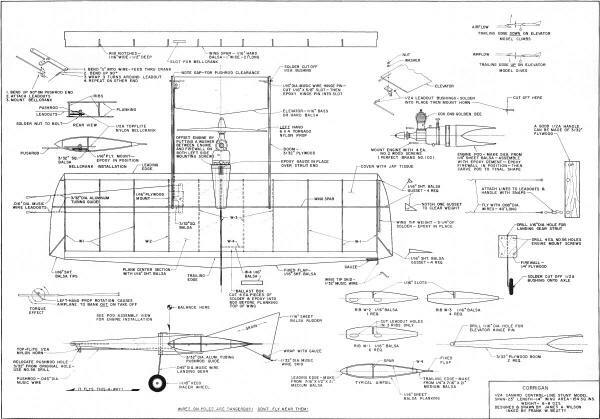 Plans for this fine model were drawn by Mr. Bill Blanchard. All copyrights (if any) are hereby acknowledged. Corrigan is a surname of Irish descent that means "Spear". 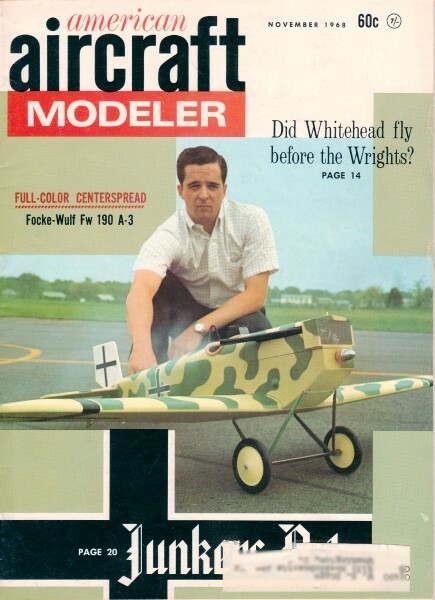 The Corrigan is an all-balsa stunt type control-line model with a pusher propeller configuration. Note that the bellcrank and lead lines are in the right wing, setting it up for clockwise flight (as viewed from overhead).